Here's a chart from Dan Frommer that he calls "the entire Internet in one chart." 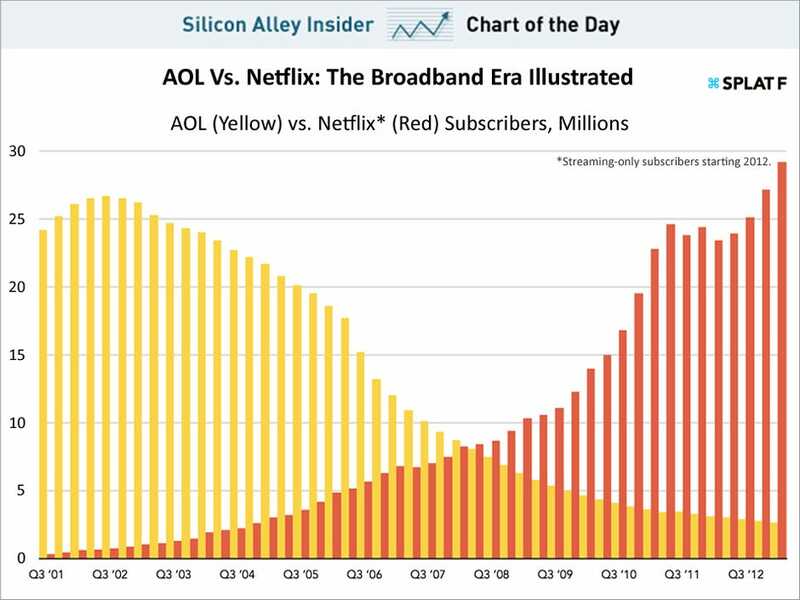 It shows AOL's declining dial-up business compared to Netflix's rising streaming business, which Frommer uses a proxy for the broadband market. Frommer has more analysis which is well worth checking out, but one great point: Netflix now has more users than AOL ever had.